Our Dota Auto Chess: How to win with advanced tips page contains tips, tricks and strategy advice to help you win more games in Dota Auto Chess. If you're a newcomer to Dota Auto Chess, then you're probably experiencing the overwhelming steep learning curve. It's a rather intimidating beast to master, and there aren't any tool tips to explain what's going on or how things work - which isn't ideal. This means it's largely up to you to sit down and grind through matches in order to gain a better understanding of its numerous mechanics, which can be a very frustrating process if you're constantly losing out to those more experienced than you. In many ways, it's all rather offputting. Trust us, Auto Chess is worth sticking with as there's nothing quite like pulling off a win in this custom mode. So, it's no secret that Dota Auto Chess is incredibly complex and there's a lot to take in, even for those who've poured a decent chunk of time into the custom mode. You've got the added bonus of an economy to manage, pieces to combine, abilities to learn and items to equip. Essentially, you've got to micro-manage a whole bunch of stuff which can be very overwhelming. Oh, and there’s a less than generous timer which constantly puts you under pressure at every turn, which makes learning the game and processing your mistakes even trickier. To help you along the path towards winning more Auto Chess games, we'll take you through a number of more advanced tips for new and intermediate players alike. If you think we've missed out on something particularly important, then don't be afraid to let us know in the comments below and we may just feature it in the article itself. We found loopuleasa and Paklu's pages to be great resources. Do be sure to check them out. Work with the game. Don’t be afraid to buy pieces as they appear for later use, as this enables you to keep your options open. It’s important to keep your economy thriving, so try and avoid draining your pockets every round. Find a balance between keeping your monetary gains ticking along and your chess “locker” filled with potential combinations. Sometimes the star rating isn’t truly indicative of a piece's power, as certain chess pieces are incredibly powerful from the get-go. 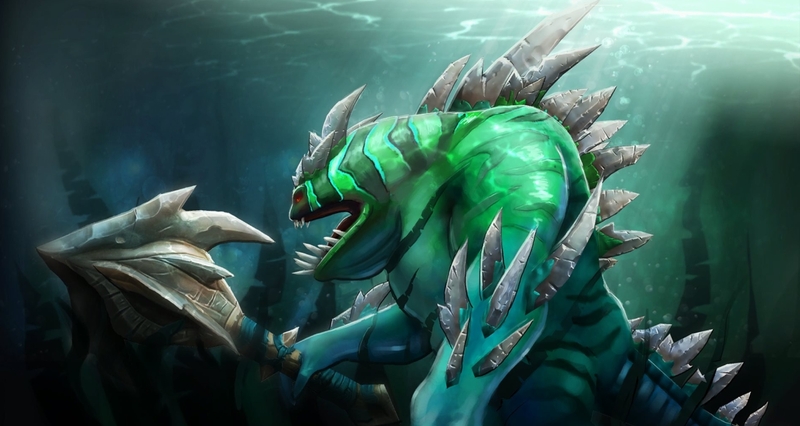 Kunkka’s one example of a hero who would be worth placing on the board over a two star Axe for example. While it’s important to keep your options open, it’s also crucial that you’ve got some form of team composition in mind. Commit to stockpiling certain races and classes which have synergy. In general you’ll want some solid frontliners to tank damage, a healer or support, and assassins or mages for DPS. Pay attention to which unit can carry you to victory, and buff them with items or trait bonuses to make them difficult to deal with. Be wary of getting too carried away with a Druid based lineup. Having a bunch of levelled Druids in the early to mid game can be very strong, but they begin to fall off in the late game - especially damage wise. With this in mind, be sure to keep your options open and build stronger units in the background so you can swap them in as the game progresses. Three star pieces are incredibly powerful, but chasing down an entire team of three star pieces isn’t realistic because you won’t have enough room in the locker to stockpile what you need. Aim to get at least a couple on the board in the late game, but focus primarily on getting mainly two star units and the synergy between them right before switching your attention to upgrades. If your stockpile bench is full, sometimes you can place some pieces on the board and then buy more for an upgrade. Place your units on the board before the buy period to save even more time. As the meta has developed, we've found the Troll synergy to be extremely powerful. If you've got 4 Trolls on the board it'll give your entire team +35% attack speed. This becomes ridiculous if you combine it with lifesteal or mana regeneration items. Combine this with the Warlock lifesteal buff and you've got yourself a very difficult team to whittle down. Make sure you're choosing race and class bonuses in the mid to late game which will counter enemy team compositions. If an enemy team is particularly tanky, an undead composition will reduce their armour, while three mages will reduce their magic protection. Keep all of these bonuses in mind as a game progresses. Be flexible with your team composition as it's crucial to keep your opponents on their toes, especially in the lategame where you'll hopefully have plenty of money to do some re-jigging. Maintaining a decent economy should be a priority. As tempting as it might be to burn through gold on new units or experience points, you will gain a certain amount of interest between rounds by holding onto your stash. Each round you will gain extra gold for each 10 gold you have stockpiled. The maximum gold bonus you can earn is five, so once you’ve got a stash of 50 gold, make sure you spend some of it. It’s important to get off to a good start, so pick classes and races which match up nicely. Gain an early game advantage and you’ll start racking up a win streak. Win streaks can net you up to +3 gold per round, so do your utmost to keep it going for as long as possible so as to fatten your bank account in the early game. Don’t reroll too often in the early stages of a match as it’s too damaging to your economy. Instead, it’s better to reroll often in the late game to perfect your composition or upgrade weaker units. Sometimes you'll find RNG just isn't on your side at all, or things have gone a little pear shaped. If you are taking too much damage in the early to mid game and have a lot of money in the bank, don't hesitate to go on a bit of spending/rerolling spree to get yourself back in the game. It's better than going out early and regretting not spending some cash! If RNG hasn't been kind to you and you haven't got off to a good start, don't worry too much about losing the first few rounds. It's in these circumstances where you want to start stockpiling 2/4 cost units for the mid to late game. Start grabbing them early and you will increase your chances of getting some very powerful units on the board later. This video by Amaz is a great learning tool and shows how to push through the late game. It's easily one of the closest finales we've seen, so do make sure you give it a watch and consider subscribing for more Auto Chess content! Make sure you’re equipping the right items to the right units. Armour buffs pair nicely with tanks, while mana regen items usually work well with healers or spellcasters with powerful abilities. Items can combine with others to form extra powerful gear. We’ve got a breakdown on our Item list and combinations page. If you know exactly what items you want and the combinations required to obtain them, you can leave certain items on the ground instead of picking them up. This way they won’t auto-combine in your inventory. Click on other players’ heroes to obtain information on what items they have. This will also give you a better sense of what build they may be committing too, or which hero to counter when you match up against them in the future. Notice an assassin with tonnes of strong items? Maybe invest in some AoE or single target stuns to neutralise the threat. You can press [Tab] to flick between everyone else’s boards. Use this information to counter-position your units against an upcoming opponent. Notice they have a mage heavy composition? Place your tanky units and assassins a little higher up the board so they can jump right in and get on the offensive right away. If your spellcasters are getting wiped out too quickly, we’ve found it helpful to position a tanky unit near them to draw aggro. Otherwise you can bunch them together in a corner of the map so approaching units can’t flank them. Tiny is a hero who is able to chuck an enemy unit across the board and stun them. This might seem like a brilliant tool which will upset opponents, but it can actually backfire and ruin a well put together team composition. We’d avoid picking Tiny if you want to take advantage of positioning. Don’t forget about your courier positioning either. The courier has an activation range, so position him in the center of the bench to save yourself a mouse swipe. If it’s just you and one other player in the grand final, make sure you position your courier as far away from the fight as possible. If it’s a close battle, the damage missiles will have a longer distance to travel and it might be just enough to save your skin. We've embedded a video by BananaSlamJamma just below which is arguably one of the best videos on Dota Chess positioning out there. Definitely give it a watch if you want to learn more about how best to position your units on the board to gain an advantage. If you found this video helpful, do consider giving it a thumbs up and subscribing. He puts together some of the best Dota Auto Chess content out there!